The first rule of reading news articles on the internet: if you don’t want to get angry, stay away from the comments. I broke that rule more than once, both during the lead up to the current student protests against austerity and since they started to bloom. I have lived to regret it, though my shattered piece of mind did lead to one rather interesting observation: the rhetoric of trolls has permeated the mainstream. Are you familiar with CJAD? While their most prominent opinion show hosts veer right of centre, their overall news coverage is quite balanced. However, their audience, at least those who comment on Facebook, is, for the most part, divided between those who feel everything is about language and separatism and those who spew the sort of bile I would only expect from the most ignorant portions of the Republican base south of the border. A few weeks ago, I saw one comment that made me do a double-take. The commenter was arguing that the reason a pre-strike protest at UQAM drew only a few hundred people was because the unions didn’t have the money to front the students this year and this was good because students’ brains hadn’t developed enough to comprehend complex political and economic philosophy. I replied, calling him out on his ageism and he actually tried to respond with a flawed scientific argument. It was then that I realized I was speaking with the drunk at the bar that everyone knew was going to be thrown out by bouncers before the night was over, so I closed the tab on my computer and stopped engaging. The problem is that his condescending attitude has found its place beyond the space inhabited by trolls. You see it all over the media and the web these days. It’s just a little less blatant and a lot more insidious. CTV news may not be the most progressive media out there, but they have always maintained at least basic journalistic standards when it comes to their reporting. Their bias has always been apparent in what they choose to present, not their choice of words. Now, that seems to have changed. In at least three recent posts to their website about Printemps 2015, they refer to the Couillard government’s “so-called” austerity measures. So-called? 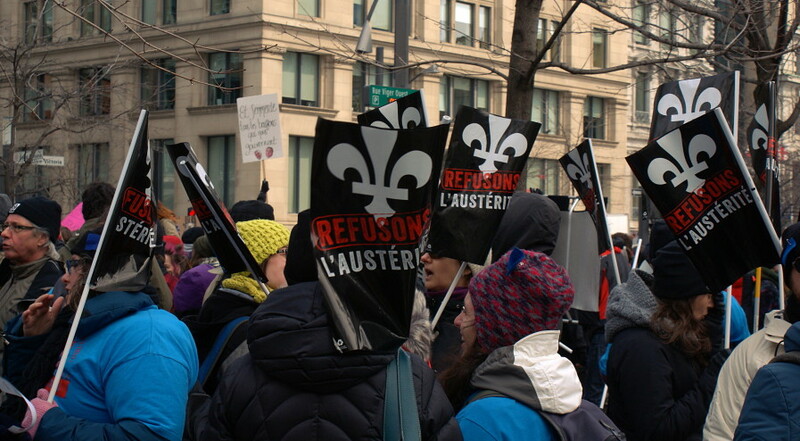 When did the Quebec government’s plan to cut services and pensions fall into the realm of alleged austerity? I’m pretty sure if you asked Philippe Couillard if his government was implementing austerity measures, he’d deny it, but he’s a politician. However, if you google austerity and compare the definition to what the premier has been doing, you’d see they match. 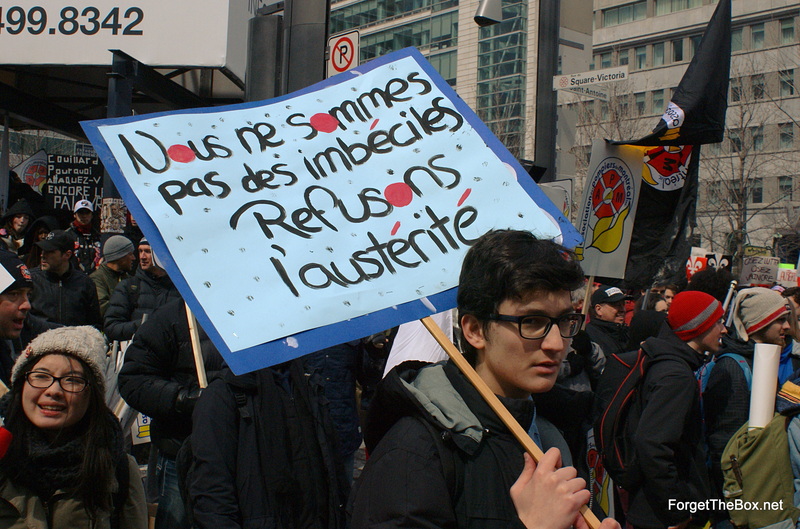 According to the Financial Times Lexicon, “austerity measures refer to official actions taken by the government, during a period of adverse economic conditions, to reduce its budget deficit using a combination of spending cuts or tax rises.” The media even called it austerity until the students got involved. You may agree with this definition. You may prefer, as I do, to extrapolate a bit and call austerity the practice of cutting off services and support for the poor or those of moderate to average income because of a perceived crisis and implement corporate welfare, er, business incentives and tax breaks. 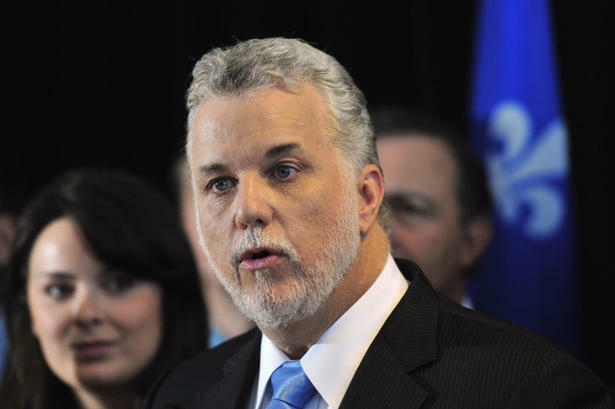 Either way, austerity is what the Couillard administration is bringing in. Either way, austerity is what those in the streets are fighting. Instead of actually trying to defend austerity, which is really a tough sell, those against the protests have taken to arguing that it’s not really austerity the students, and now others, are fighting. Leave it to Reddit to explain how a protest clearly against austerity may not be. It all stems from the fact that Couillard’s austerity measures aren’t as severe as those elsewhere. This is true (Greece comes to mind), but it also misses the point completely. It reminds me of the old right-wing refrain from 2012. You know the old chestnut I’m talking about, the one that points out how Quebec students pay the lowest tuition in North America. While true, it is irrelevant to the discussion. That fight was for no tuition increase, not even a penny, with the ultimate goal, for some, of university being free. This is a fight for no austerity, not even a little, but a different approach to allocating resources. Making the argument that students should accept a tuition increase or Quebec should accept its austerity because it’s not that bad compared to other places presupposes that tuition increases and austerity are inevitable and need to be accepted, if only a little bit. Or, just the tip. 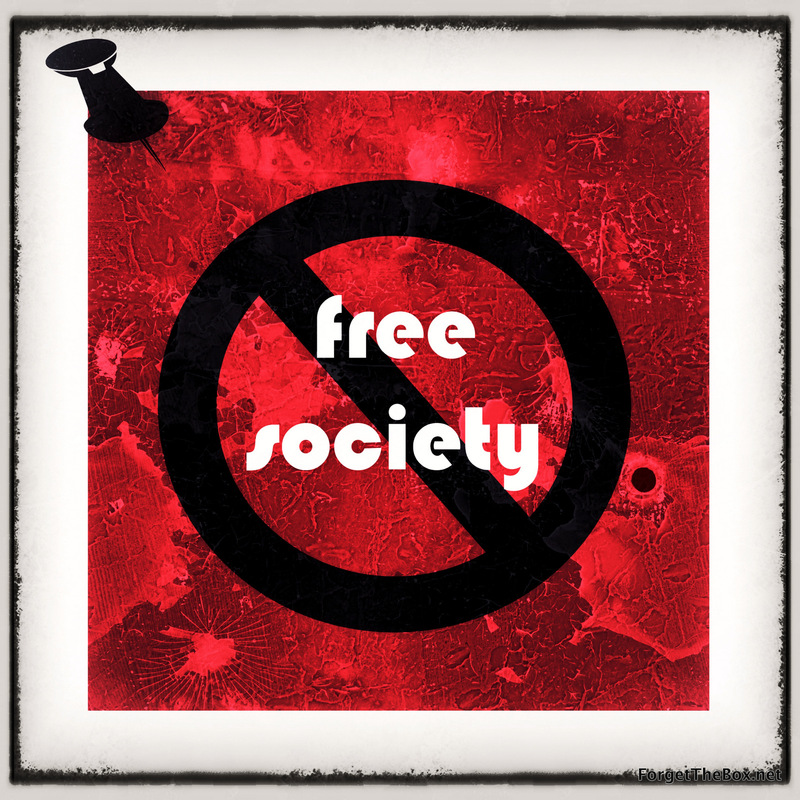 The concept that abandoning social justice and embracing neoliberal economic policies and the global austerity agenda is a sign of maturity is not only wrong and condescending to those who have a different opinion, but it is also an option that is only open to the privileged. As someone who is privileged, has grown up to a certain extent, and has a job, I can tell you that austerity is wrong-headed and harmful. 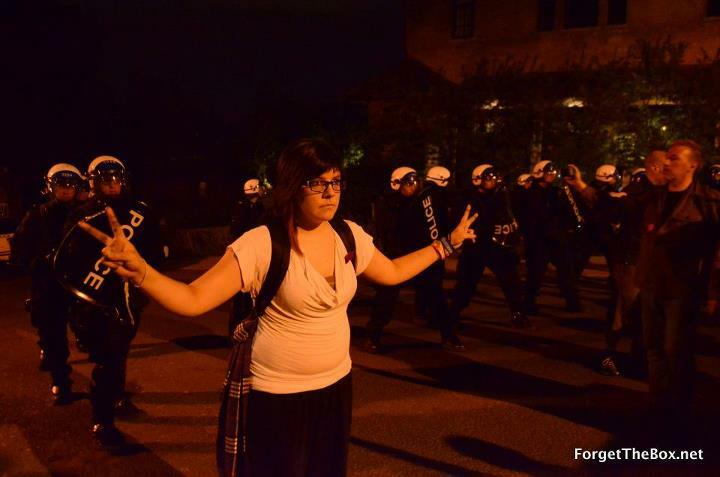 Another world is, in fact, possible, and it starts with those in the streets. Now if only we can all admit that they do know what they’re talking about. Wither the progressive choice in a dispiriting election? Take heart, there is hope!